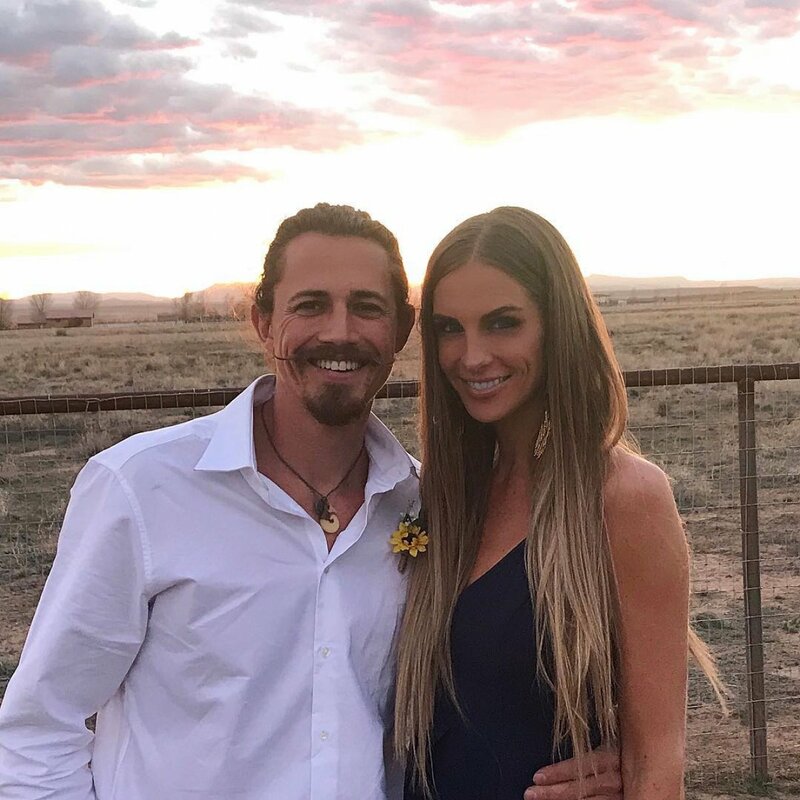 'Survivor' couple Joe Anglim and Sierra Dawn Thomas are engaged! Sierra revealed her engagement to the Survivor: Edge of Extinction castaway engagement in an Instagram posting on Tuesday. "Forever and ever, amen," she captioned a close-up photo of the couple's hands with an engagement ring on her finger. Based on the photo, the engagement ring appears to feature a pear-shaped center diamond in a halo setting with a platinum or white gold band that also contains accent stones. Joe, who has competed on Survivor three times, and Sierra, who has competed on Survivor twice, met when they competed against each other on Survivor: Worlds Apart, the 30th season Survivor that aired on CBS in 2014. However, the couple did not fall in love during Survivor: Worlds Apart -- in fact, Sierra voted Joe out of the game! "But she was not having any of that," Joe told The Salt Lake Tribune in a recent interview, referring to his attempts to use his flirtatious nature to manipulate Sierra during Survivor: Worlds Apart. "We really didn't even have that great of a relationship, even within the game... She voted me out, which she reminds me of every chance she gets." According to Joe, the pair's "friendship developed" after the game when they would both attend Survivor-related events or gatherings, and then they ultimately met each other's family. "Neither of us was looking to have a relationship or find love on an island," insisted Joe, who grew up in Arizona but is now living in Utah with Sierra. "You always say, 'Oh, what if?' But in reality, you know that's not going to happen. And you shouldn't couple up because it's bad for your games [to be viewed as a power pair]. But, again, all this happened after the fact." Eventually, the couple realized "we had way more in common than we'd really gotten to know out there on the show," according to Joe. Joe also told the Tribune that he's been "thrown into a whole new world" by living in Utah. "I've just been learning a lot about horses and doing a lot of equine massage and training," Joe told the newspaper with a laugh. "I knew nothing about horses coming up here. So Sierra had to be patient with me. She had to teach me. She's still teaching me. Man, I didn't realize how much work horses were. Especially these ones. They're like Ferraris. They're fast, they have bad attitudes and you have to be very mindful of them all the time." But the chemistry Joe and Sierra have apparently comes naturally, as Joe admitted the blonde beauty loves his unique look. "Sierra is so funny. I grew [a mustache] out for a while, and she just fell in love with it. And she said, 'I want you to keep the Doc Holliday look.' I'm not allowed to cut it off. She loves the man bun and the little mustache-goatee thing," Joe shared. According to Joe, Sierra was actually the person who encouraged him to attempt to outwit, outplay and outlast a third time on Survivor: Edge of Extinction, which is currently airing on CBS. Joe also previously returned for Survivor: Cambodia -- Second Chance, the 31st Survivor season that was cast based on viewer voting, and Sierra also returned for Survivor: Game Changers, Survivor's 34th season. "I literally just told her, 'I can't believe that we played Survivor together, honey. I still can't get over the fact that we both have played twice, and now I'm going to play again. It's crazy. This is nuts," Joe told the Tribune.